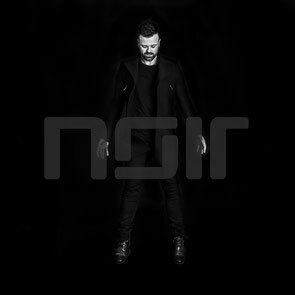 Noir Music recently announced the forthcoming self-titled studio album from Noir. Arguably best known for his track ‘Around’, Noir now drops his debut studio album, a project that has been nearly half a decade in the making. ‘Around’, a synthesiser-tinted groove featuring vocalist Hayze was played in clubs around the world for close to two years, possibly making Noir a household name across clubland. And it’s still as popular as ever – the Solomon Vox remix of ‘Around’ has amassed more than 12 million views on YouTube. As well as ‘Around’, Noir includes further club tracks ‘Angel feat. Hayze’, ‘My Fault feat. HRRSN’ and current single ‘Black feat. Caitlin’, evidencing his desire to work with a variety of vocalists to create something far weightier than simply a collection of club tracks. The albums is about telling stories, boasting 12 completely unique productions that chart the artist’s evolution over the course of his career. With many of its cuts moving away from the strict four-to-the-floor parameters of house music production, the horizons stretch way beyond the dancefloor. It takes its cue from a range of artists from Depeche Mode to Kraftwerk, and Massive Attack to Timbaland – all of whom have heavily influenced Noir’s aesthetic. Says Noir of working on the album: “The album has been in the making since I started working on ‘Around’ back in 2010, so for me it’s a body of work that spans nearly 5 years, with changes to productions, melodies and moods before I was happy with the final tracks. ‘Noir’ is out 9 March 2015 (Digital and triple LP) on Noir Music.